Shoreline Mafia‘s got a strong presence in LA and the four-piece group really made that known to the world last year. Their song “Bottle Service” a few months ago really broke them through and only 3 months later they’ve signed a deal. 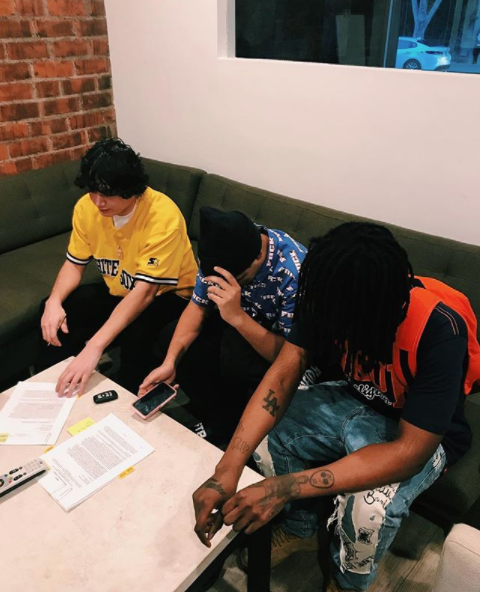 I know both Atlantic and Alamo were gunning for the group hard as well as Warner but one of the group’s members Ohgeesy took to social media to announce that they’d signed to Atlantic Records. They went and signed this deal real quickly so hopefully they got at least a halfway decent deal.